Here it is! The long awaited finale of the Doctor Puppet animated series. “The Twelfth Planet” created by the New York team of Alisa Stern, Erin Natal, Rachel Gitlevich, Amanda Zoe and Shelby Arnold with music, narration and sound effects (and more!) by my great pal Scott Ampleford. 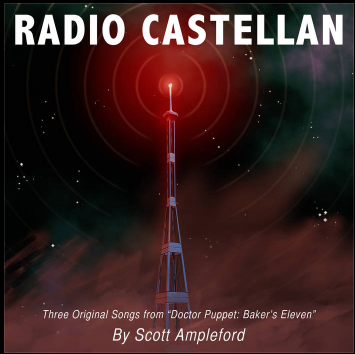 As with all of the episodes with live musicians, Scott invited me to support him with additional orchestration and double bass, with mixing by Zoey Cairns. The team have really outdone themselves this time – a full 9 minutes 49 seconds with a full soundtrack of live instruments and some synth programming by Scott and his Ad-Hoc Orchestra. 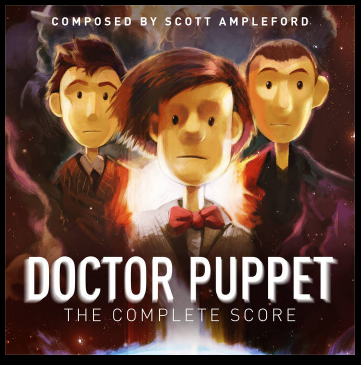 Scott’s music is leitmotif based and scored to perfection with comic timing, pathos, adventure and some spiffing action music! 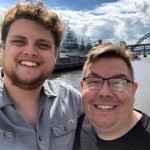 Here is Scott’s recording session video with the brass and wind recorded in Newcastle and the strings (multitracked) recorded in Norfolk – with Alisa from New York present, which was fab!